Mexican traditional quesadillas with meat of choice. Breaded chicken with tomatoes, lettuce, onions, mayonnaise, oaxaca cheese, pinto beans, avocado and jalapeño slices. Excellent smoothies and great tacos . I would recommend this restaurant above all Mexican food spots . The tacos were delicious and came as described. The delivery arrived on time and warm. Will be ordering from Mi Pueblito again! I had enough burrito left over for dinner. Lol The food was great. I'll be ordering again and I highly recommend them. The places I would eat from in the neighborhood are very limited, but I am so happy that Mi Pueblito is available on seamless. We have tried their quesadillas and tacos. I ordered a steak platter the last time, which I was sceptical of because it is usually best eaten straight off the grill, but it was very good. Their steak tastes clean and fresh. I like the simple balanced offerings and the more complex combinations that include specialty items like well prepared cactus. They had an egg and cactus taco that was amazing. They also include little containers of green and red hot sauce if you should need an extra kick. The food is good with or without it, but I enjoy having it. Their horchata is "on point' and the flan is not bad. Nice to have Mi Pueblito in the neighbourhood. Don't forget to tip their timely delivery workers. One of the few places that knows how to cook a steak according to customer's order. I ordered a medium rare steak and that is exactly what I got. Very rare for restaurants in The Bronx to do this. Besides cooking the steak correctly, the food was cooked very well and taste great. Great Job, will add to my favorites. I loved the carnita nachos. The flavors was amazing and the delivery was 20 minutes before the time it was suppose to be delivered and it was a snow day. Will definitely order from here again. (Seamless order, usually preorder) The food is ALWAYS so good, the order is sent out right on time and the delivery guy is so sweet. We love ordering from Mi Pueblito. 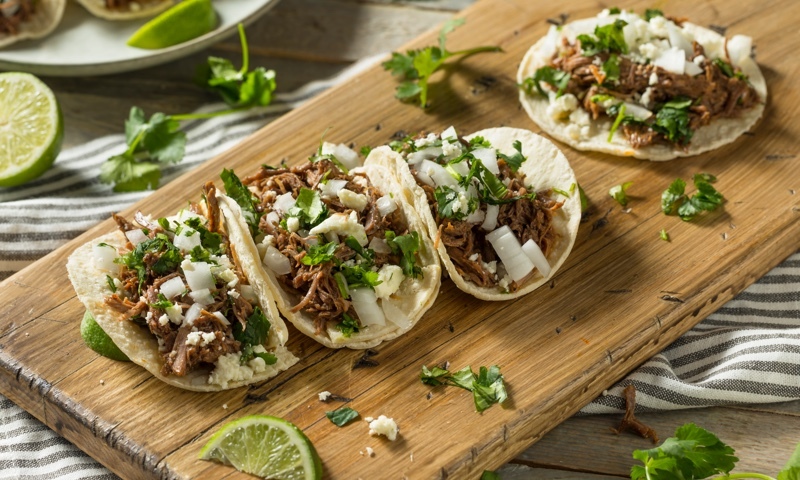 Whether you're craving a quick bite or looking to treat yourself to a delicious meal, you can now order your Mi Pueblito favorites for takeout or delivery.